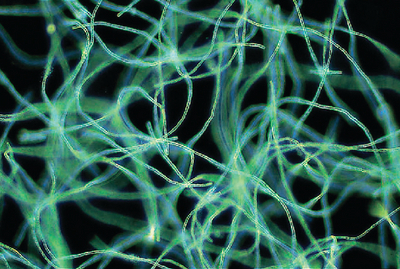 Freshwater; unbranched filaments with cylindrical- to slightly barrel-shaped cells; shows the characteristic H-pieces upon fragmentation of the filament. Live Cultures are supplied with media in 16 x 125 mm tubes, 2 oz. jars, or 8 oz. jars. Fast delivery is available directly from our laboratory. Please specify a delivery date. Each culture shipment is prepared in our laboratories and includes the "Working with Algae & Cyanobacteria" manual which contains detailed instructions for subculturing and use. CFIA and PHAC regulations require customers to submit a completed inspection checklist and signed statement of facilities compliance before receiving certain cultures. A customer service representative will contact you if documentation is required.